We've all heard about client virtualization or virtual desktop infrastructure (VDI) over the past few years, and there are some really great technologies for delivering a PC client experience as a service. Cloud computing, mobile device proliferation, and highly efficient data centers are all aligning to make it clear that the deeper and flexible client platform support from back-end servers will become more the norm and less the exception over time. Client devices and application types will also be dynamically shifting both in numbers and types, and crossing the chasm between the consumer and business spaces. The new requirements for business mobile use point to the need for planning and proper support of the infrastructures that can accommodate these edge, wireless clients. To help guide business on client virtualization infrastructure requirements, learn more about client virtualization strategies and best practices that support multiple future client directions, and see why such virtualization makes sense economically, we went to Dan Nordhues, Marketing and Business Manager for Client Virtualization Solutions in HP's Industry Standard Servers Organization. 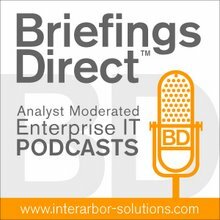 The interview is conducted by BriefingsDirect's Dana Gardner, Principal Analyst at Interarbor Solutions. Nordhues: In desktop virtualization, what really comes out to the user device is just pixel information. These protocols jus t give you the screen information, collect your user inputs from the keyboard and mouse, and take those back to the application or the desktop in the data center. When you look at desktop virtualization, whether it’s a server-based computing environment, where you are delivering applications, or if you are delivering the whole desktop, as in VDI, to get started you really have to take a look at your whole environment -- and make sure that you're doing a proper analysis and are actually ready. But you have to look at the data center and its capacity to house the increased number of servers, storage, and networking that has to go there to support the user. We have an increasingly global and mobile workforce out there. Roughly 60 percent of employees in organizations don’t work where their headquarters are for their company, and they work differently. And, of course, there's the impact of security, which is always the highest on customer lists. We have customers out there, large enterprise accounts, who are spending north of $100 million a year just to protect themselves from internal fraud. It’s all something that can be protected by IT, and they can give access only to users as they see fit. In most cases, they want to strictly control that. Also, you don’t have users putting applications that you don't want ... on top of your IT infrastructure. We've launched several reference architectures and we are going to continue to head down this path. A reference architecture is a prescribed solution for a given set of problems. We targeted the enterprise first. Some of our reference architectures that are out there today exist for 1,000-plus users in a VDI environment. If you go to some of the lower-end offerings we have, they are still in the 400-500 range. Today, we have reference architectures based on VDI or based on server-based computing and delivering just the applications. As I mentioned before, were looking at marrying those, so you truly have a wire-it-once infrastructure that can deliver whatever the needs are for your broad user community. We have a number of customer references. I won’t call them out specifically, but we do have some of these posted out on HP.com/go/clientvirtualization, and we continue to post more of our customer case studies out there. They are across the whole desktop virtualization space. Some are on server-based computing or sharing applications, some are based on VDI environments, and we continue to add to those. On that same website that I mentioned, HP.com/go/clientvirtualization, we have our technical white papers that we've published, along with each of these reference architectures. VDI's "Dirty Little Secret" is that each virtual desktop will need 20-40 IOPS from the storage platform to perform similar to how it performs now. Traditional hard drive storage from EMC and NetApp can only deliver 200 IOPS, so 5,000 users will need at least 500 drives in the datacenter to even work! Not that then can't do it, they can, but at $300 per user. Here's a link to an interview with the CTO of WhipTail Technologies that explains this dirty little secret of VDI. Bottom line is that WhipTail can deliver this performance for $30 per user in a 2U appliance drawing 180 watts of power. Talking about getting your infrastructure act together!! !